New Jersey's Online Gambling Player Numbers Impress, Revenues not so Much. The most populous state in the US where online gambling and online poker are both currently legal is New Jersey. While Nevada and Delaware have also legalized one of those activities to a certain degree too, New Jersey is by far the most dynamic market of the three. The other day - following a string of good news regarding the quickly expanding numbers of accounts set up by online poker players and gamblers at the seven Atlantic City-based operators - the state's Division of Gaming Enforcement has made the actual revenue numbers posted by the first 6 weeks of legal online gambling/poker public, and quite frankly, they were unexpectedly shallow. According to the DGE, a total of $8.4 million has been generated in revenues, of which $7.4 million was registered in December. In November - during the 10 days following the actual implementation of the online gaming bill - around $1 million hit the coffers of the various operators. The breakdown of the revenue numbers isn't surprising. 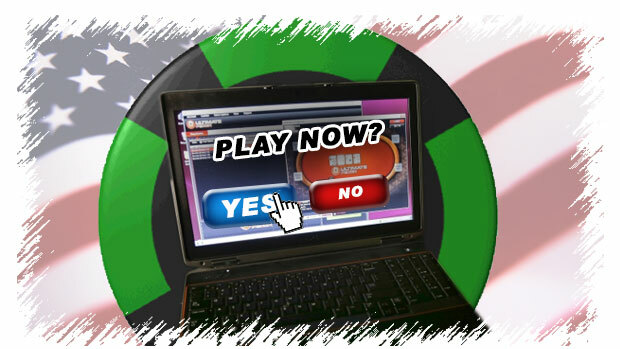 Of the $8.4 million, the online casino industry was responsible for 62%, while online poker shouldered 38% of the load. Of the 7 online gambling/online poker operators, PartyPoker (and their live partner, Borgata) came out on top, having generated some $3.75 million in revenue. Not surprisingly, the Golden Nugget finished dead last on the profits list, with just $179.1k pulled in, but that wasn't exactly a surprise either as they only received the license to offer real money online games on December 13, quite a bit later than the other companies. Why exactly are the posted numbers disappointing though? According to the expectations of legislators and of various state officials, the online gaming industry should be worth around $1.2 billion by the end of its first fiscal year, and in light of the above posted numbers, those expectations do appear sort of outlandish right now. Even State Gov. Chris Christie has touted online gaming as a way to save Atlantic City, the live gambling revenues of which have recently plummeted to their 1989 levels. If you're looking for an online poker loyalty deal, visit rakemeback and sign up for a poker rakeback deal. The disappointing start of online gambling in the state was definitely not due to low player interest. Instead, some officials have pointed a finger at the various financial institutions within the state, which have refused to allow players to use their credit card for the funding of their online gambling accounts. Indeed, in this respect, the banks are in quite a squeeze, because federal laws still prohibit them to transfer funds to and from online gambling businesses, regardless of whether they're offshore operations or US-based ones. Back when the UIGEA was crafted in 2006, there were no regulated online gambling/poker operations in the US.